Drexel LeBow’s Institute for Strategic Leadership (ISL), in partnership with the University’s Office of International Programs, has been awarded a grant from the U.S. Department of State to be a host university for the 2017 Mandela Fellowship for Young African Leaders. Drexel will host 25 Fellows for a six-week residential civic leadership development training program at LeBow College of Business beginning June 16. 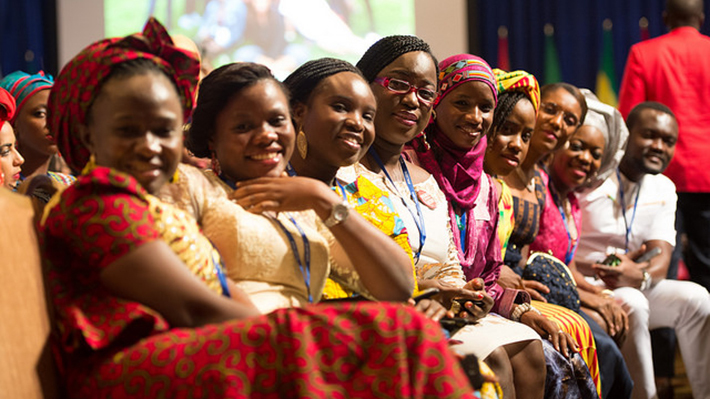 The Mandela Washington Fellowship for Young African Leaders is the flagship program of the Young African Leaders Initiative (YALI), which empowers young people through academic coursework, leadership training and networking. The young leaders selected to be Mandela Fellows are between the ages of 25 and 35 and have established records of accomplishment in promoting innovation and positive change in their organizations, institutions, communities, and countries. While at Drexel LeBow, the Fellows’ experience will include: classroom instruction by Drexel faculty and other subject matter experts, panel discussions, speaker events, team-building experiences, cultural immersion, community service opportunities, leadership development and peer mentoring. The curriculum, developed by the ISL, will focus on a civic leadership track. At the culmination of their six-week academic residency at Drexel LeBow, the Fellows will visit Washington, D.C., for a summit featuring networking and panel discussions with U.S. leaders from the public, private, and non-profit sectors. One hundred select Fellows will remain in the United States to participate in a six-week professional development experience with U.S. non-governmental organizations, private companies, and governmental agencies that relate to their professional interests and goals. Upon returning to their home countries, Fellows will continue to build the skills they developed during their time in the United States through support from U.S. embassies, regional leadership centers, the YALI Network, and customized programming from USAID, the Department of State and affiliated partners. Through these experiences, select Mandela Washington Fellows have access to ongoing professional development opportunities, mentoring, networking and training, and support for their ideas, businesses and organizations. In 2016, Mandela Fellows represented all 49 countries in Sub-Saharan Africa. They also represented diversity across the continent with 66 Fellows identifying as having a disability, 30 percent coming from rural areas or towns of fewer than 100,000 people, and 50 percent of Fellows were women. For more information on the Mandela Fellows cohort at Drexel University, contact Alison Young at aty24@drexel.edu or Adam Zahn at alz26@drexel.edu. A group of 25 young civic leaders from across Africa are in the midst of a six-week fellowship program at LeBow to develop the skills needed to drive systemic changes in their home countries. Race and community were the main the topic of conversation as 25 African civic leaders traveled to New York City as part of the Mandela Fellows program. Our Institute for Strategic Leadership connects world-class research with the global business community to effectively steer organizations in times of accelerated economic and technological change.